It’s hard not to like pizza, am I right? Seriously, you can throw almost any combination of toppings onto a waiting dough and get a custom-made and delicious meal – who wouldn’t want a slice? 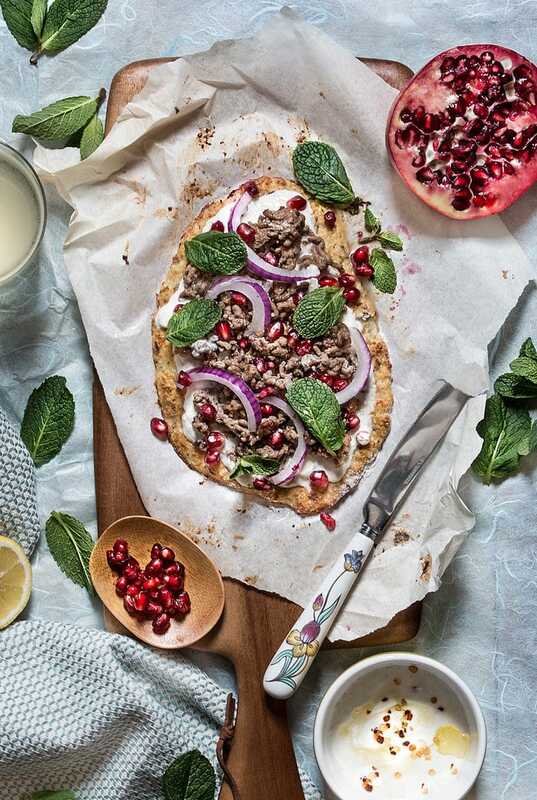 Whether you’re gluten-free or not, there is so much to love when it comes to making (and eating) a pie with a paleo pizza crust base. 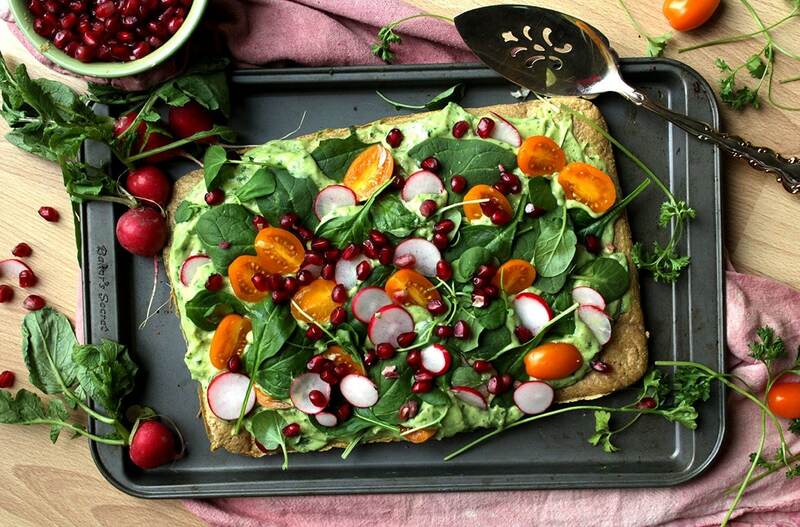 Since paleo crusts eliminate dairy, gluten, and refined sugar, that means you’re creating a pizza crust without inflammatory properties. That awful, bloated feeling you used to get after eating all that delicious pizza of the past? Gone. But the flavor? Still there. 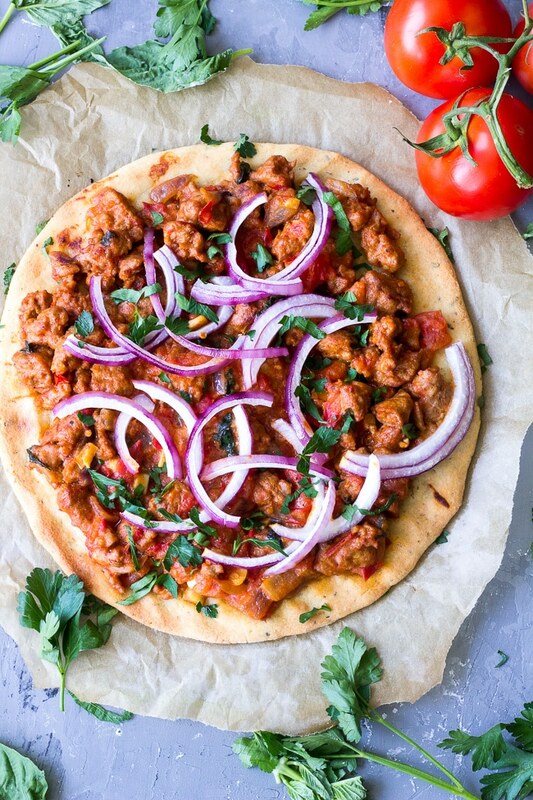 With so many options, it’s easy to make a healthier version of everyone’s favorite dish: pizza! 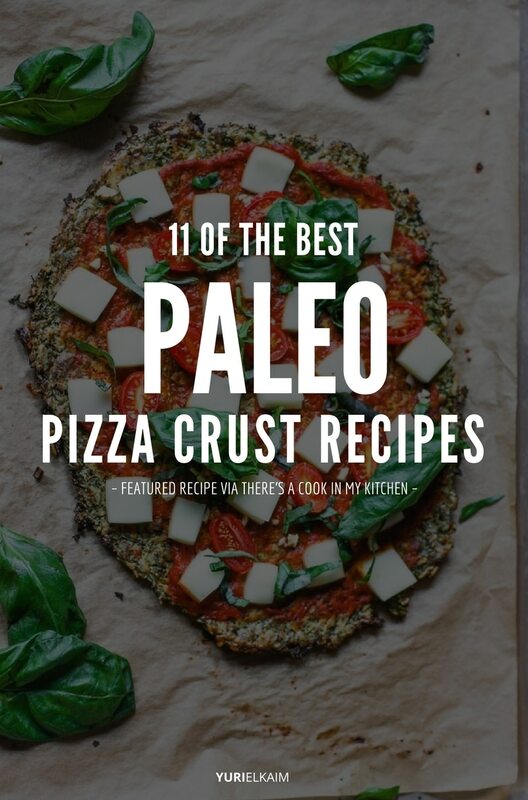 Check out our ultimate list of the best paleo pizza crusts, which features varieties made with everything from coconut flour, to broccoli, to eggplant, and cassava flour. Featuring almond, coconut, and tapioca flours, this crust is thick and hearty like traditional pizza crust. And that makes it perfect for piling on the toppings. 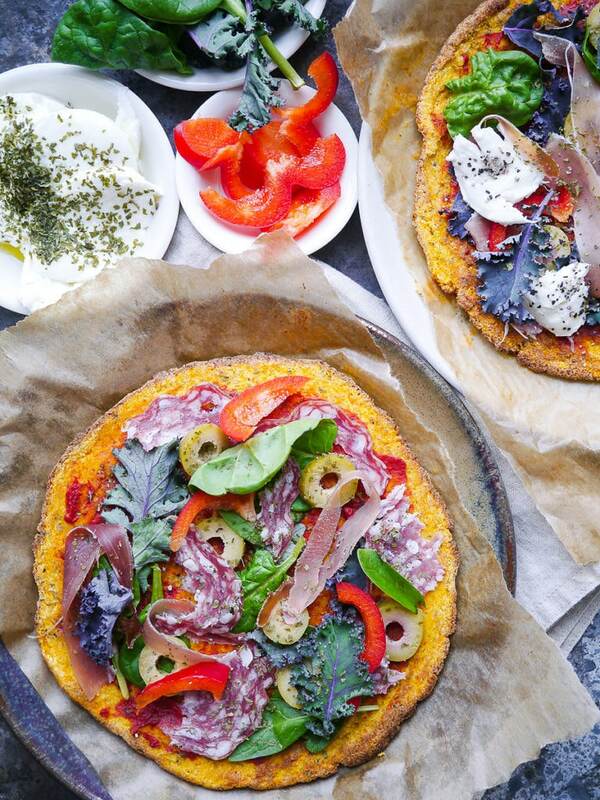 This cauliflower crust uses almond flour and eggs to create a binder, which forms the perfect, sturdy base for this Indian-flavored pizza. Sprinkled with oregano for seasoning, it cooks up golden and crisp, perfect for devouring. 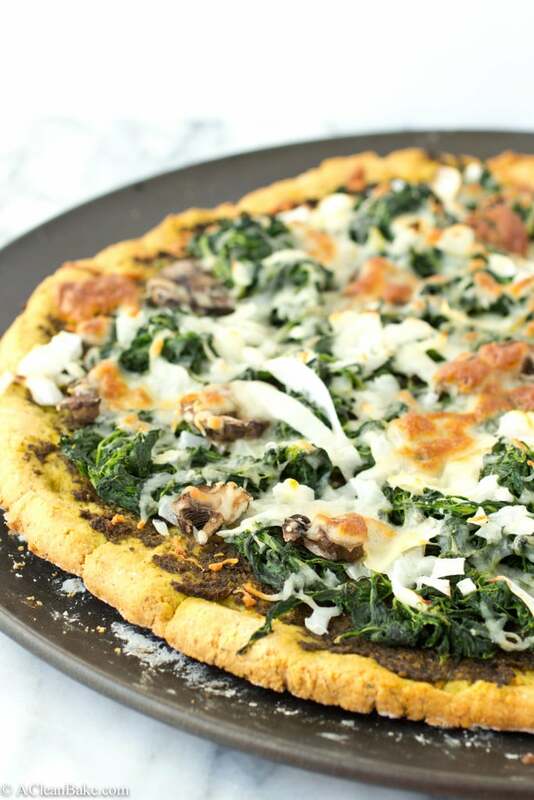 If you love a thin crust, then this recipe is for you. Slightly sweet with mashed pumpkin, it’s held together with almond and coconut flours plus a little bit of psyllium husk, which creates a thin but crispy crust. Top this one with complementary flavors like goat cheese, spinach, and peppers. Roasted broccoli takes center stage in this recipe for a thinner, but surprisingly firm, crust that has cheesy overtones thanks to a smattering of nutritional yeast and vegan Parmesan. 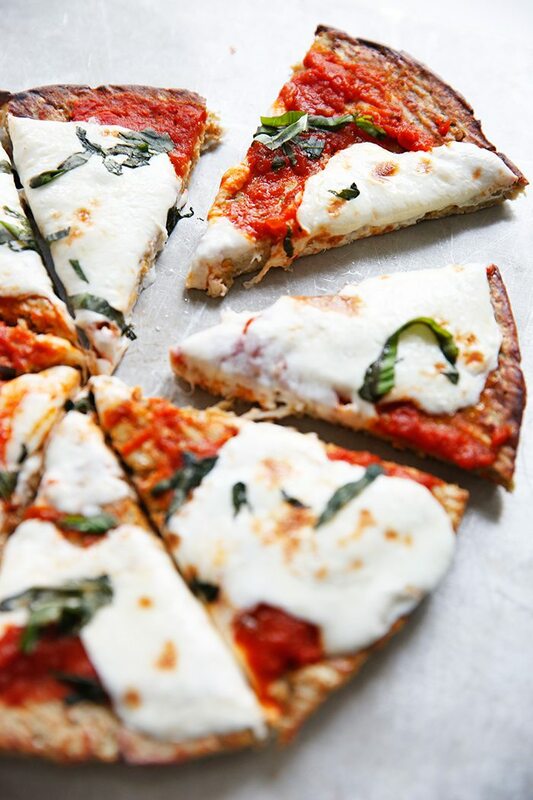 Top it with fresh basil and minced garlic for a Margherita pizza so delicious you won’t believe it’s healthy. This recipe takes a basic arrowroot and coconut flour crust to the next level with garlic and herbs, which produces a crust so tantalizing you’d swear it was gourmet. 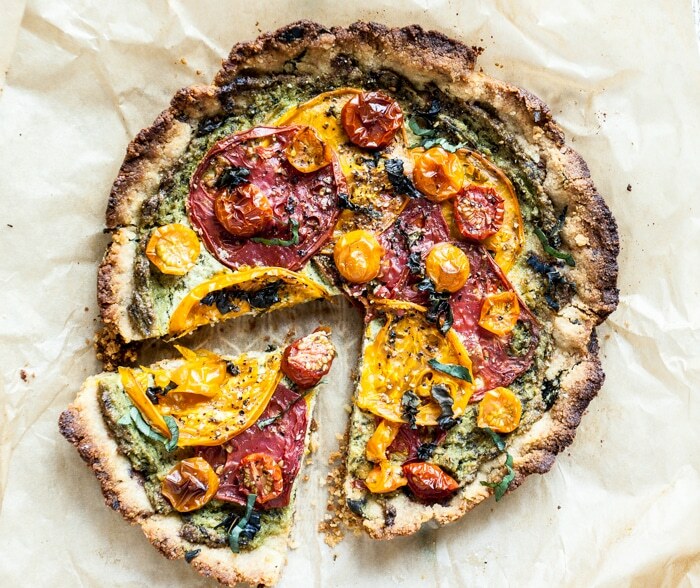 Skip the tomato sauce and top this flavorful crust with a light layer of pesto. This is the perfect pizza crust for those who favor a soft and fluffy variety. This vegan crust uses plantains and flax eggs, plus a bit of baking powder, to create a thick crust that is flavorful and perfect for topping with crisp vegetables. A crisp crust with a naturally buttery flavor (without butter!) 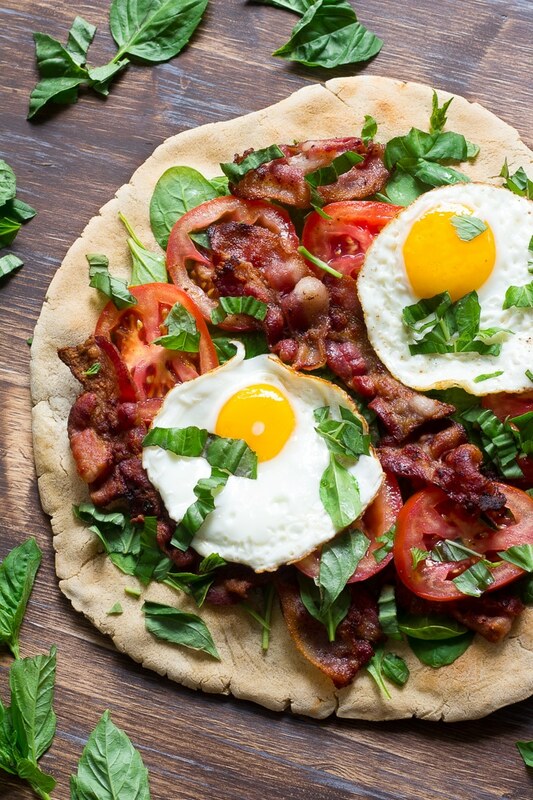 this recipe uses cassava flour, coconut oil, and eggs to create a texture very similar to a classic thin crust pizza. Throw on your favorite pizza toppings and enjoy. 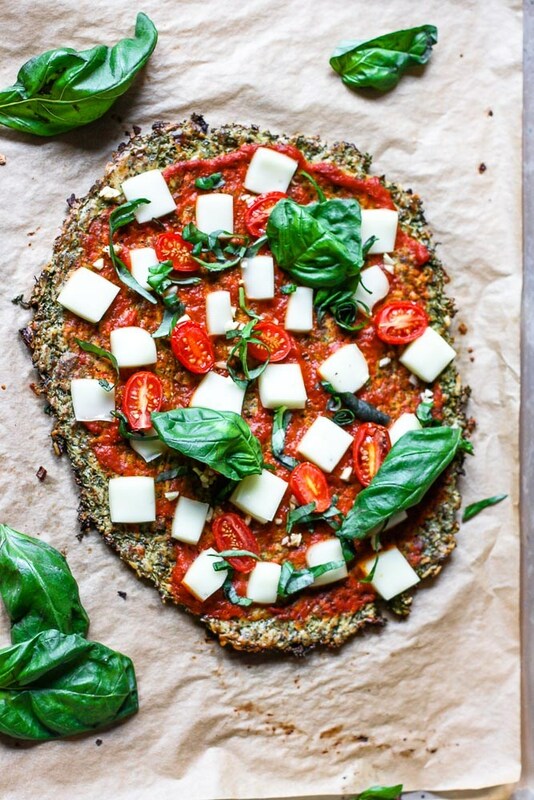 Bursting with flavor, this almond flour crust contains hearty portions of garlic, basil, and cracked black pepper, for an amazing base to this pizza. Skip the marinara and opt for the cashew herb filling that’s included with the recipe, and then top it with farm-fresh heirloom tomatoes. With a dough reminiscent of traditional pizzas, this crust garners its texture from tapioca starch and coconut flour. The result is a crust that is not only gluten-free, but also nut- free and dairy-free. Filled with herbs and spices, it makes the perfect base for any combination of toppings. Sweet potatoes get all the credit for these crispy little crusts. With just eggs and coconut flour supporting the base, you get a crust that is slightly sweet, but perfect for topping with an assortment of flavorful ingredients. 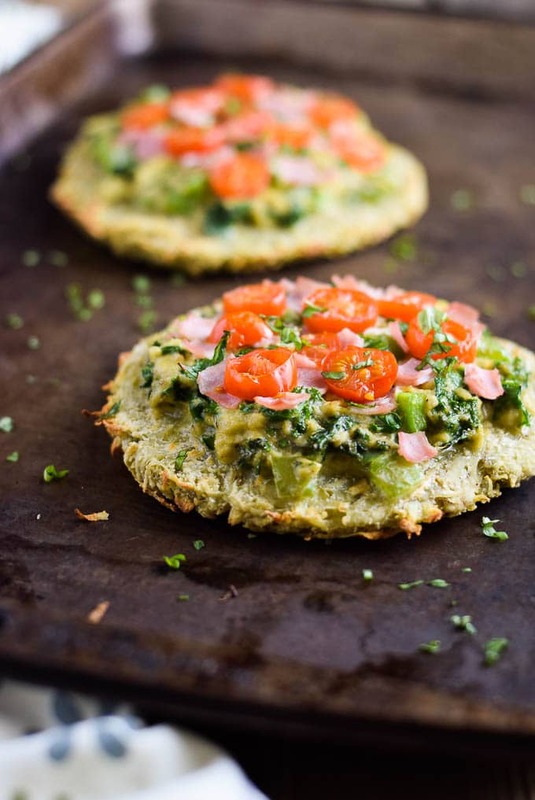 You’ll love them with sauteed kale and peppers, juicy tomatoes, and fresh basil. Dig in! 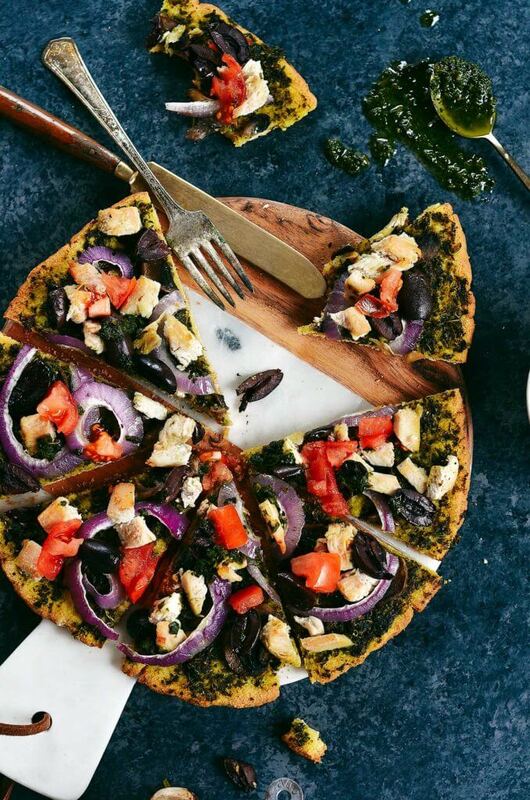 Eggplant’s mild flavor makes for a perfect pizza base since it allows the herbs and seasonings in your toppings to really shine. With coconut and almond flours, and ground flaxseed as well, this crust is crispy and firm so it can withstand holding a multitude of delicious sauces and toppings without becoming soggy and limp. Whether you prefer your pizza on a thin, crispy crust, or thick and fluffy, there is definitely a recipe for you. Try one, or try them all, but be sure to come back and let us know which one you love the most. Get a FREE Gluten-Free Cookbook! Want more dairy- and gluten-free recipes? You’ll love the 67 choices in the All Day Energy Diet Community Cookbook. And you’ll also love the fact that it’s absolutely FREE! Just click the image below to get your copy.